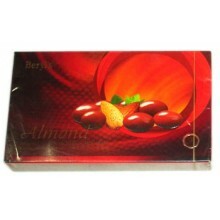 Beryl's Chocolate Almond - Red 80g Note: Packaging design may vary Substitution Policy: - Substitutions may be necessary to ensure your order is delivered in a timely manner. The utmost care and attention is given to your order to make sure that it is as similar as possible to the requested item. Chocolate variant may be substituted with another available variant of equal or greater value and of similar brand and size in case the requested product is not available. Note: NEXT DAY DELIVERY available, if the delivery address is in PROVINCIAL AREA. SAME DAY DELIVERY- if the delivery address is within METRO MANILA Your purchase includes a complimentary personalized gift message. 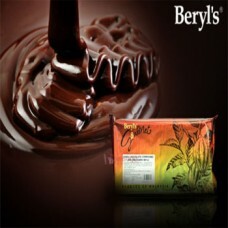 Beryl's Chocolate Almond - Black 80g Note: Packaging design may vary Substitution Policy: - Substitutions may be necessary to ensure your order is delivered in a timely manner. The utmost care and attention is given to your order to make sure that it is as similar as possible to the requested item. Chocolate variant may be substituted with another available variant of equal or greater value and of similar brand and size in case the requested product is not available. Note: NEXT DAY DELIVERY available, if the delivery address is in PROVINCIAL AREA. SAME DAY DELIVERY- if the delivery address is within METRO MANILA Your purchase includes a complimentary personalized gift message. 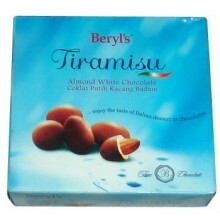 Beryl's Tiramisu: Almond White Chocolate 65g Note: Packaging design may vary Substitution Policy: - Substitutions may be necessary to ensure your order is delivered in a timely manner. The utmost care and attention is given to your order to make sure that it is as similar as possible to the requested item. Chocolate variant may be substituted with another available variant of equal or greater value and of similar brand and size in case the requested product is not available. Note: NEXT DAY DELIVERY available, if the delivery address is in PROVINCIAL AREA. SAME DAY DELIVERY- if the delivery address is within METRO MANILA Your purchase includes a complimentary personalized gift message. 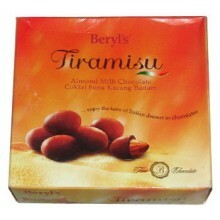 Beryl's Tiramisu: Almond Milk Chocolate 65g Note: Packaging design may vary Substitution Policy: - Substitutions may be necessary to ensure your order is delivered in a timely manner. The utmost care and attention is given to your order to make sure that it is as similar as possible to the requested item. Chocolate variant may be substituted with another available variant of equal or greater value and of similar brand and size in case the requested product is not available. Note: NEXT DAY DELIVERY available, if the delivery address is in PROVINCIAL AREA. SAME DAY DELIVERY- if the delivery address is within METRO MANILA Your purchase includes a complimentary personalized gift message. 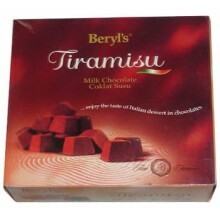 Beryl's Tiramisu: Milk Chocolate 65g Note: Packaging design may vary Substitution Policy: - Substitutions may be necessary to ensure your order is delivered in a timely manner. The utmost care and attention is given to your order to make sure that it is as similar as possible to the requested item. Chocolate variant may be substituted with another available variant of equal or greater value and of similar brand and size in case the requested product is not available. Note: NEXT DAY DELIVERY available, if the delivery address is in PROVINCIAL AREA. SAME DAY DELIVERY- if the delivery address is within METRO MANILA Your purchase includes a complimentary personalized gift message.